This cream provides immediate relief, is non-greasy, non-staining and amazing. 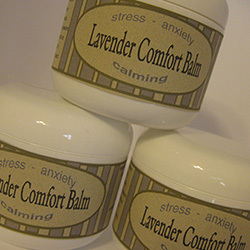 Immediately, upon contact with skin, you will feel the impact of deep heating - then cooling. 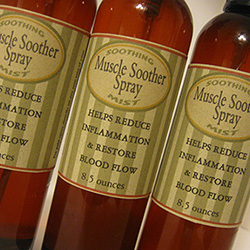 You need only rub for 30 or 40 seconds, keeping in mind that this is by far a more temporary relief over the other two pain products offered (should still last most of the day). Very easy to apply yourself, even on the back area. 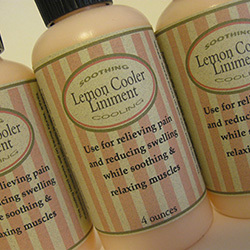 This is great for spot pain - not for all over body massage. Take this product to work and use if you handle paper, due to not being greasy. 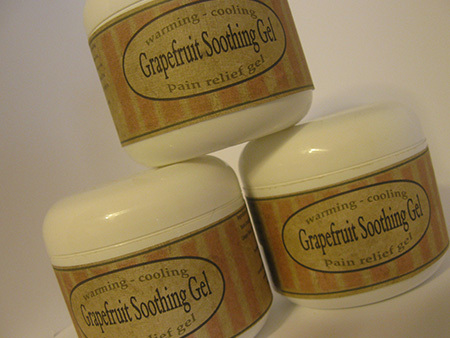 The Grapefruit Soothing Gel, Lemon Cooling Liniment as well as the Muscle Soother Gel are all products that are not greasy and will not stain.